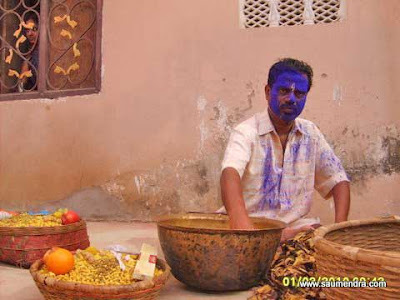 Holi - the Festival of Colours is celebrated all over India and by the Indians in many other Countries. 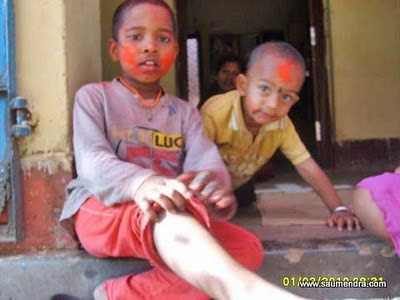 In Orissa The Festival Holi is celebrated with the Much awaited Yearly Festival of DOLA JATRA. 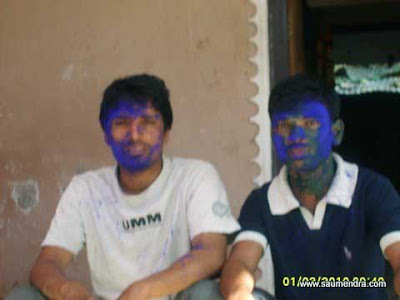 Here are some of the Holi images from my village. In Orissa Villages the Dola Jatra is celebrated with a unique Event of Village Gods. Idols of Village GOD were decorated on there Moving Cars (The Bibhana) and were joined by many of the Village GODS car with the regular dance and music celebrations.